Mazda has finally put into production its all-new 6 midsize offering at its Hofu Plant in Japan's Yamaguchi prefecture. However, unlike the sedan in the teaser videos released by the Japanese carmaker nearly a month ago, the first model to roll off the line is a European-specification wagon equipped with a 2.0-liter Skyactiv engine. 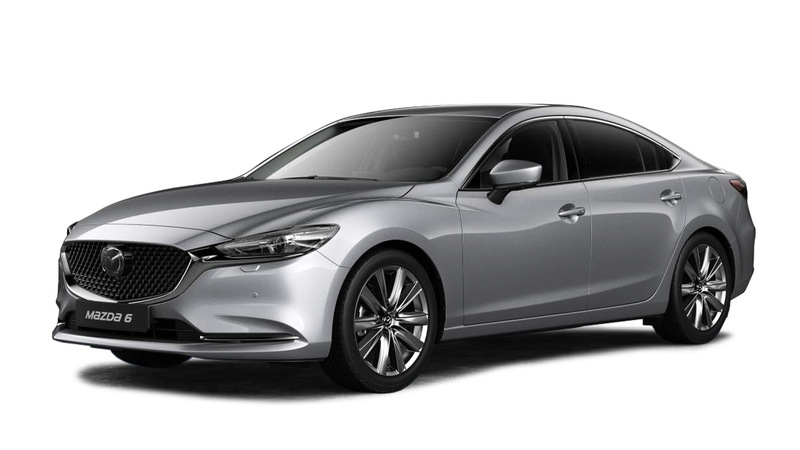 "I am deeply moved that production of the third-generation Mazda 6, the flagship model of our new-generation vehicles, starts in such an important year for us," said Mazda board chairman, president and chief executive Takashi Yamanouchi. 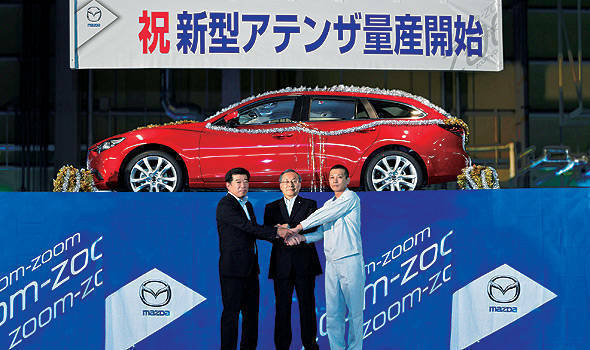 "It is the 30th anniversary of the start of operations here in the Nishinoura district of the Hofu Plant and the 10th anniversary of the start of production of the first-generation Mazda 6, back in 2002. That first 6 debuted as an embodiment of Mazda's brand message, Zoom-Zoom, and its success led to great improvement in our brand image. The new 6 that starts rolling off the line today features both Skyactiv technology and Kodo 'Soul of Motion' design. Its development represents the very best of our engineering capability and our uncompromising attention to detail." The all-new Mazda 6 will be launched in Europe and Japan later this year, with the other markets--starting with the United States--getting their hands on it at the beginning of 2013. Mazda hopes its Hofu plant will produce around 120,000 units of the 6 per year.